There’s nothing worse than feeling so hungry and looking at a pantry or fridge that just doesn’t have enough to make a meal from. Especially after a long day, this could lead to some less than healthy meal decisions that could affect your health and fitness goals as well as your wallet, if the problem persists. 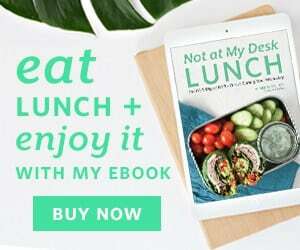 With some planning and keeping some pantry essentials stocked at all times, you can avoid this and stay on track with healthy eating no matter how much fresh produce you were able to get at your last grocery store visit or how much you were able to meal plan. What is a Pantry Essential? 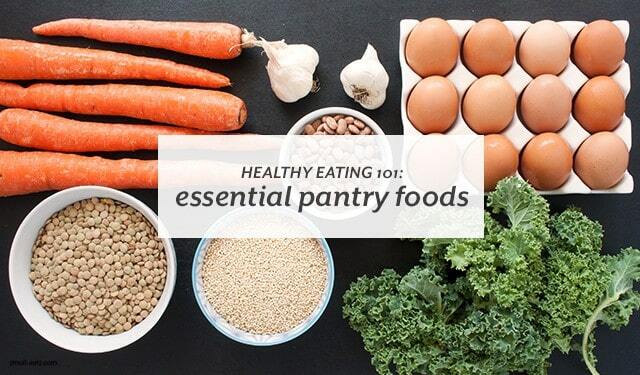 A pantry essential is a food you eat regularly and make meals from. You keep it stocked at all times and when it runs out, you replace it in your next grocery run. It’s always there so you can make a lot of different meals or dishes with it. They can be shelf-stable foods like grains or dried beans, but they can also be perishables like eggs, tofu, bunch of kale, or chicken. If you’re cooking and eating them every week, you don’t have to worry about these foods going bad because you’re using them up each week. Pantry essentials can change a little bit over time as your tastes move from one kind of cuisine or flavors to another, but the idea of keeping things you eat or cook with regularly in stock each week remains. If you don’t already, grocery shop regularly each week so you can replenish your essentials on a consistent basis. Before you go shopping, make a meal plan and after you list the specific ingredients you need for those meals, look through your fridge and cabinets to see if your regular items are running low or need to be replaced this trip. You can also keep a list on your phone or fridge during the week as your run out those items. Read more about pantry essentials and some recommendations for your pantry essentials over at Azumio.